Following a series of concerts in Africa, Middle East and Europe. 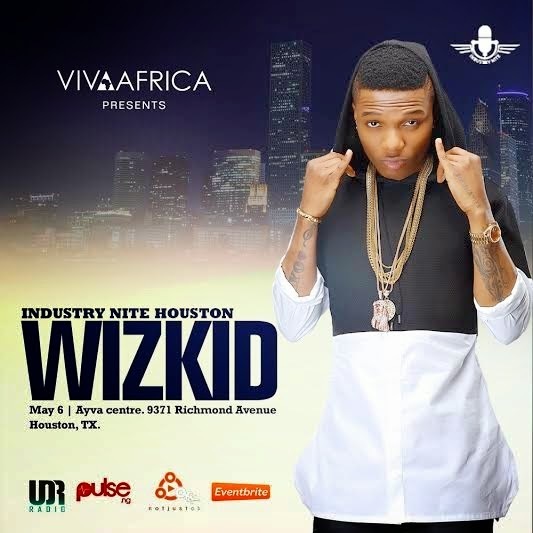 Industry Nite a weekly event based in Lagos partners with Viva Africa a Dubai based entertainment outfit that specialises in promoting Africa through its sound, sights and taste bring to you Industry Nite Houston with Wizkid. The event which is scheduled to hold on the 6th of May at the Ayva centre on Richmond in Houston, Texas, United States, coincides with the popular yearly Oil and Gas expo tagged OTC.